At White House we support people by seeing the person and not the illness. The White House has thirty two bedrooms in all which includes one double room with an en suite. 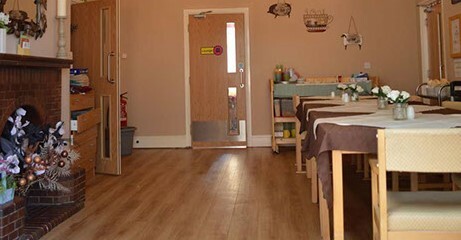 Twenty-five of our bedrooms have en-suites of a sink and toilet facility. There are communal wet room and bathrooms with toilets on both floors. Our bedrooms have been furnished with a “home from home” feel to them and personal items are always welcome to enable each bedroom to be individual and with a personal touch. 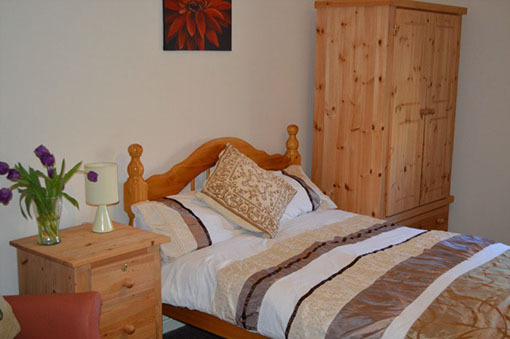 We provide in each bedroom soft lighting, wardrobe, chest of drawers, bedside cupboard with lamp and comfortable chair. Each person can have their own room key and a lockable drawer for storage. All areas of the home are cleaned daily with fresh towels and bed linen if required. Meal times at The Whitehouse are relaxed due to us having protected meal times. This encourages the ambience of mealtimes to be enjoyed in a pleasant open planned dining area with little disturbance. We offer a wide variety of home cooked and locally sought produce, giving optional extras at all times if they so wish. 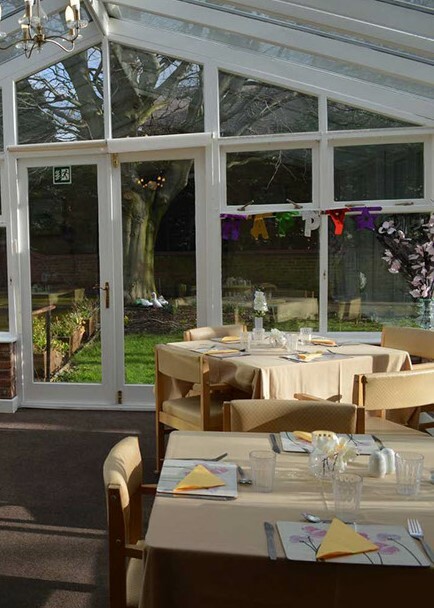 We have a four week rotational weekly menu which is displayed on the dining tables and we try to encourage residents to sit at the same seating place as they will have already built up good relationships and have conversation. Our breakfast is served 8am – 9am or later if they so wish to have a lie in, lunch 12 – 1pm, dinner 12pm – 1pm and supper 8pm – 9pm. We also cater for special dietary requirements such as Vegan. Vegetarian, diabetics staged soft diets, coeliac etc. We base The White House on having a homely atmosphere. We have three communal lounges which are focused on being bright and airy thus enabling freedom of movement throughout the home. 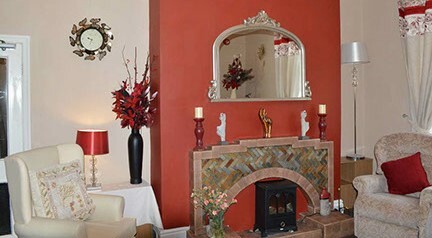 Our smaller lounge area is a quieter calmer environment where people can relax looking at the old fashioned hearth and mural with TV for their enjoyment. The larger lounge is complete with a wall mounted large TV for residents to sit and watch and finally the large conservatory area is bright but complete with blinds for warmth and to keep direct sunlight out. Complete with gramophone for musical entertainment. Our dedicated team of 24 hours care staff who undergo constant training and provide support wherever needed. We also operate an out of hour’s emergency on call system. Whitehouse has a robust medication service to ensure that all individuals medicinal needs are catered for, along with regular GP visits and district nurses visiting daily. 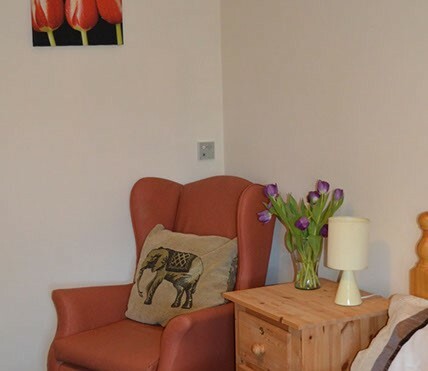 We have visiting We work closely with relatives and health care professionals to ensure that mental and physical well-being are optimised for our residents at all times. At The White House, we believe that busy hands and active minds are a good combination for adding quality to a life. We have daily activities and we are always updating them to ensure that we cater for everyone as much as possible. Our activities are not only fun but also encourage communication which is important for our residents. For people who prefer to engage in less active the activity coordinator can offer to discuss past times with one to one sessions. Holy Communion is held at The White House every month and everyone is welcome to attend. Other religious needs are catered for at The White House. We have a monthly meeting of fundraising and discussions of the home with The Pentagon Club, this is where staff, families and residents we plan the following months activities ahead. The outside sought entertainment is arranged with the funds raised. We have pantos, singers, duos, parties and try to celebrate most recognised dates on the calendar. With the build up to Christmas we ensure we have a good itinerary for that month. 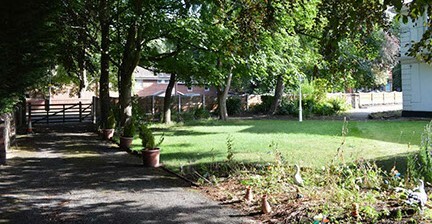 Our polymeric surfacing which improves aesthetics and safety of the area is obviously paramount to resident’s safety at all times and this includes a never-ending orange pathway with imitation shops of old Wrexham town. 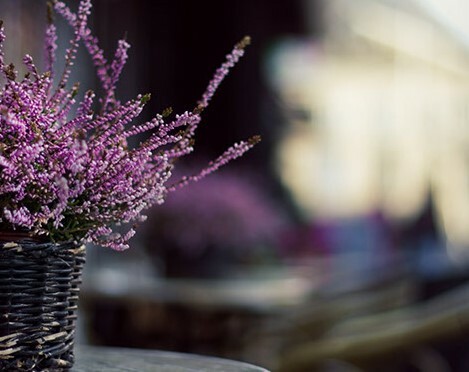 This assists in helping the resident with recognition and contributes to their safety and well-being whilst enjoying the fresh air and greenery. We have a mini bus which is used on a regular basis to go out for day trips or places of interests.